Teer Coatings Ltd » Thin Film Coatings » UK | Coating Service . One of the best equipped production PVD coating facilities in the world, offering an extensive range of coatings on a production basis. 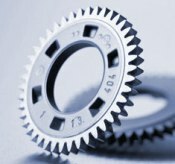 Coatings offered cover a wide range of standard coatings and many coatings developed for specific applications. 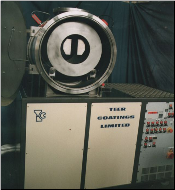 Teer Coatings Ltd have six systems dedicated to the deposition of solid lubricant coatings. Teer Coatings Ltd. have dedicated many years to the development of low friction coatings and have unrivalled expertise in their application and uses. 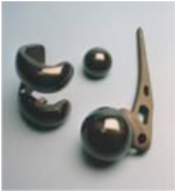 The solid lubricant coatings developed by Teer Coatings Ltd have unique properties, combining very low friction with extremely high wear resistance and load bearing capacity. Patented MoS2/metal solid lubricant coating with exceptional low friction and wear resistant properties. Can be used as a stand alone coating, or to further enhance the properties of standard hard coatings. Further information can be found in the MoST™ full specification. Patented conducting carbon based coating with very low friction, high hardness and high wear resistance. Further information can be found in the Graphit-iC™ full specification. New insulating DLC type coating with superior properties and performance compared to standard DLC coatings. Further information can be found in the Dymon-iC™ full specification. 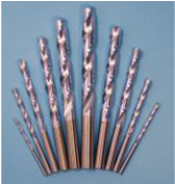 A hard, dense wear resistant coating suitable for a wide range of applications. Further information can be found in the TiN(Titanium Nitride) full specification. A hard, very adherent, abrasion and wear resistant coating. Further information can be found in the CrN (Chromium Nitride) full specification. A tough multilayer coating suitable for applications where high temperature and high chemical wear resistance is required.